Meet Miz Kathleen. New Sleuth on the prowl. I asked her if she would be so kind as to “sniff out” the bona fides of a certain outfit in Florida that purports to be run by former VA Personnel with the Veterans Benefits Administration (VBA)-those who perform Compensation and Pension Examinations on Veterans to aid in determining service connection for claims we file. Several days ago, I put up this report and Kathleen commented on it with numerous links to the outfit in question. I emailed her and asked if she’d be interested in researching such a valuable asset to Veterans-if it were indeed true. And, true to her word, I present her diligent work. Caveat Emptor…that’s my sentiment about the consulting firm mentioned in VA NEXUS LETTERS–FINALLY A GO-TO SOURCE? . You may or may not feel the same way as I do about this firm and that’s certainly everyone’s prerogative to reach their own conclusions. In this case, the digital trail that I followed kept bringing me to more twists and turns then “the most crooked street in the world”, Lombard Street in San Francisco, CA. Vet Comp and Pen claims they assisted me in filing a ********** claim with ******* *******. Not only did they not assist me but now are stating that I owe them in upwards of $8399. I filed all claims with ******* ******* on my own and therefore required nor received any assistance from Vet Comp and… Pen. Stop threatening demands with promises of attorney fees and collection fees, etc. Subject: Re: You have a new message from the BBB of Northeast Florida in regards to your… complaint #********. I agree..the C&P system (compensation and pension) is broken…vets are not receiving what is deserved for their military related disabilities due to various reasons…and they are missing out on MANY secondary conditions due to lack of knowledge and guidance from non medical veteran service officers who do not understand pathophysiology and pharmacology, etc….erroneous claims or missed claims are being filed and bogging down the system. As a previous C&P examiner and trainer as well as a committee member for DEMO (disability exam management office) who recently helped with the development of DBQ (disability benefits questionaires) that are recently instituted throughout the nation, I have seen how inadequate the system is. Thus I have resigned my position with VHA and gone into private medical consulting to assist vets with the preparation and filing of compensation claims in order to maximize the potential of success in winning deserving claims, and decrease denials (less than 20% are ever overturned once denied! )…check out my website for more info http://www.vetcompandpen.com …..
You and non of your associates are accredited by VA assist, prepare, and prosecute veterans claims. Furthermore, it is illegal to charge veterans (whether you’re accredited or not) for such services if they are filing for initial benefits. In order to be able to charge a veteran for such services, you MUST first be accredited by VA, AND the secondly the claim must be on appeal. Then, and only then can a fee be payable! It is organizations such as yours who give advocates a bad reputation. I will be notifying the VA’s Office of the General Counsel of your organization and so-called services. As with AskNod, Mr. Janey is easily found in VA’s accreditation database for Attorneys, Claims Agents, or Veterans Service Organizations (VSO) Representatives. Aren’t you glad she doesn’t work for the FBI or VA’s VAOIG? Wait. Scratch that. She’s light years ahead of both of them and Homeland Security as well. This entry was posted in Guest authors, IMOs/IMEs, Medical News, Nexus Information, Tips and Tricks, VA Agents, VA Attorneys, VA Medical Mysteries Explained, Veterans Law and tagged ASKNOD BOOK, asknod.org, asknod@wordpress.com, Disabled Veteran, DIY vA Claims, Gulf War Claims Help, Gulf War Vets Help, HCVETS, Helping Veterans, Korean War Vets Help, Service Connection, VA claims, VA NEXUS LETTERS Alert, Veterans Benefits, Veterans claims help, Vietnam Veterans Claims Help.. Bookmark the permalink. Hi, I am Doug. I am one of those fed-up vets. I applied and was denied. I had what I felt was great help from the VFW. The judgement was wrong according to my medical records. It took the wind out of my sails. The thing about the system is that the ones who really need VA help don’t have the energy to fight. I am here, on your site, because I was looking for help and decided to check the VA Claims Pro out. Thanks for the info. How do I find someone reputable to help me? After reading, I now understand why it is hard to find anyone. Just for giggles. Why there? This is NOT a promotion or recommendation but a commentary. I belong to NOVA and am proud to be an ethical VA nonattorney practitioner. Unfortunately, due to this website, I am overbooked for work until I die. I apologize for this. I never want to become like one of those VSO outfits and fail to return your calls or help. It’s difficult as it is. However, I do have a heart and if you are dying or a widow with a pending appeal, I generally will agree to represent you. After allowing this to simmer for a year, I agree in principle with Mr. Jim Hill, the owner of Vetscomp&pen. Having experienced all facets of this system from using VSOs to attorneys over 28 years, it is true that some Vets-indeed far more than you would suspect- are tired of working with VA and would pay to have a service like this to do it for them. I get that. There’s a niche somewhere for everyone. I also retract the idea that it is “evil” to charge. I am forced to do so to help cover all the pro bono Vets I service. VSOs, by Congressional Statute and their charter, are required to help the VA develop the claim-not help the Veteran. An attorney/agent on the other hand is required to rep the Vet. I have a seamless system. You come to me with a denial and I get you an IMO for $2K. That’s what I pay-and what you pay. If we win, I get the 20% from the date of the claim plus the $2 K back for the IMO I bought you. On its face that is essentially what VC&P does. They develop your medical defense needed to win but without any of the legal work. You still have to pay that lawyer/agent his 20% of the retro, or go VSO/pro se on top of VC&P’s work and pray you win. I won’t say which one is cheaper. Do your homework. Mr. Hill is a valuable asset for a finite cohort of Veterans who don’t mind paying for farming it out. Everyone has their price. Some Vets have to work and do not have time to devote to this process. Worse, there are a finite number of knowledgeable Veterans Attorneys and only 350 agents who do this. That may be your hardest task after VC&P does the medical work for you. for one who has mistakenly dealt with them I can say shame on them… their are probably a lot more out their of course their contract is un-cancellable in their words and the Fees are outrageous I was talked into this contract and now I fight..i did all the work… so for myself yes beware and I wont be recommending them to anyone.. I guess the most damning of all is the mere idea of charging the Vet a percentage of the award (think lump sum payments of old CUE for $900 K) as an attorney would do. The cost of an examination and write up of the report for nexus to disability is a finite cost. Lots of folks do that as doctors only. The outfit here in question appears to think that if they write a really good one, you’ll get more and so should they. Attorneys are the ones who will carry the water- not the medical disability outfit. They are the ones who build the case and win it for the Vet. How do you charge 20% and then a medical company jumps in and takes another bite. Pretty soon, the Vet has lost 40% (or more) of the pot and is the one who gets had. There’s more than one fish in the ocean that provides this service-at a fixed rate, I might add. Why don’t you share the rest of the research about Vet Com & Pen Medical Consulting with your readers? Search Google and read the 4.8 out of 5 star average reviews and ratings from our clients. Or the fact that we have an A+ Rating from the BBB (The highest possible BBB rating). Seems like you’re extremely biased and quite uninformed about what we actually do. An unbiased editor would get the facts… our services are far more comprehensive than you either know or want to share with your readers. Perhaps you thrive and drive your personal VA Accredited Agent business off of conspiracy theories and like to spin the stories like the major news channels often do… Do veterans a favor and be a balanced reporter… report the facts. Drs. Bash and Ellis have dominated this market for years. Competition is always good for everyone as it keeps the price down. You are free to ask for equal space here. I would gladly write up an article on what you wish to illuminate or better yet- provide you with editorial freedom to do so yourself. Satisfied Vets are Happy Vets. Qualified IMOs that put the chicken in the pot is evidence the process works. If you have a better mousetrap for less, please indulge us by all means. As for my ” VA agent business”, sir, I don’t need to, nor do I, advertise. You must not get out much if you think 347 accredited agents need to advertise. VA provides us with far more than we can ever serve. While it is reasonable to assume our services are similar to Bash and others, we are quite different (not taking anything away from them). To my knowledge, nobody else offers our unique combination of medical expertise and provides a veteran a ZERO RISK opportunity to navigate the sometimes lengthy process all the way to winning their award with NO up-front payments. All of our medical consulting fees are contingency-based… you only pay when you win. Our standard fee agreement is equal to 5 months worth of the increase we help you win and we allow you to pay 1/2 of the increase each month for the first 10 months after you win your claim. To my knowledge, we are the only team that provides veterans a FREE personalized VA Medical Claims Strategy with no commitment or obligation. Simply complete our medical survey and provide us copies of your VA Rating Breakdown letter and all VA Rating Decison letters and we will give you a detailed report on which claims you are Medically, Legally & Ethically qualified for… including secondary and residual claims. How is this different than a VSO? Well – the facts speak for themselves: Our team regularly finds claims veterans don’t even know they are qualified for. We recently studied VA claims for several dozen randomly selected veterans who were already VA rated between 10% and 90%. We discovered more than 8 out of 10 were being shortchanged by an average of $1137 per month! WHO ELSE offers to use their extensive medical expertise (literally hundreds of years of expertise in pathophysiology & pharmacology and millions of pages of medical records reviewed with and over 40,000 claims worked) to help you find a bunch of claims you weren’t aware of – for FREE and then says you can choose to go VSO, DIY, or PRO (attorney, agent, medical consultant etc) with no pressure or obligation? We’re just happy to help you get all that you deserve. 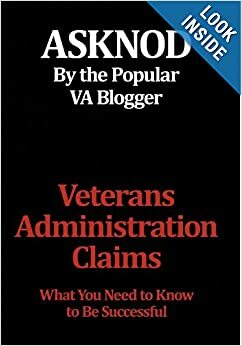 MOST doctors and attorneys don’t know how to find and win a GERD (heartburn) claim secondary to an ankle injury… or how to uncover and win highly valuable CUE claims the veteran isn’t even aware of (lots of agents and attorneys can find CUEs for veterans complaining about being screwed by the VA – it’s quite a bit harder to find things veterans don’t know they got short-changed on). There’s a lot of experts out there like Bash & Ellis to help the 22 million veterans who deserve everything they are medically, legally & ethically qualified for… Vet Comp & Pen Medical Consulting isn’t the only option, and we are NOT the right fit for everyone nor can we please everyone. BUT we encourage our clients to feel free to use a VSO or do it yourself – the ones we work with, go into this with their eyes wide open and know they have other options but choose to hit the easy button and let our team of professionals help them. Well said. And with that goes a minor codicil at my website. 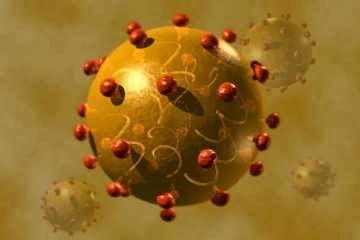 I have a gastroenterologist/hepatologist formerly employed by the VA in Nashville who offers his IMO services here free for any Veteran who contracted HCV during his/her service. Similarly, I have a Dermatologist I helped achieve 100% for psoriasis who was so overwhelmed with our “free” proffered help, he’s offered to help pay it forward to others free. Without demeaning your claims to service to Vets above and beyond the call of duty, sir, I have helped over 500 of my fellow Veterans attain, at a minimum, TDIU , and in most cases, 100% schedular for HCV due to various risk factors for HCV. My devotion to this enterprise is simple. I know, were the shoe on the other foot, they would do it for me. I am glad your shop is open to Vets to help them win. My only concern is the degree of avarice. I do this in most cases pro bono which I freely admit you cannot. I do occasionally hit big ticket SMC claims as high as $1.25 million but never set out to focus on them to the exclusion of the Vets with less lucrative claims. My most recent win? $41 dollars which I had to waive in any event as I helped the Vet file his initial claim rather than a claim at the NOD stage. Considering the VA “dealer prep and destination fees” deducts $100 as a handling fee, I would have to invest $59 to recoup the $41. I’m not sure your altruism extends that far. I fear you arrive here attempting to compare apples to orangutans which is unfortunate. My interests are very single minded and focused. I fight for the Vet-not the money. Relax, Mr. Hill. I do not abhor you and your kind. I merely consider you somewhat akin to a vulture. You serve a purpose and are indispensable. That doesn’t make you any more or less palatable. As I offered previously, contact me at asknod@gmail.com and I will offer you a berth for as long as you desire- free to offer help to Veterans. My only codicil would be that you were limited to the same basic 20% (and no more) of any retroactive wins split with the attorney who represents the Veteran. Rest assured, you will never meet a VSO who “represents” Vets. Their Congressional Charter forbids that. I have no problems living within those means and actually have done so for $0.00 for the last twenty eight years. I guess you can say stupid is as stupid does but I have no problem sleeping at night. If you may recall, I’m one of the idiots along with Dean Graham who was sued by the Wounded Wallet Project in February 2015. You might note the folks who sued me no longer are employed there. We often overlook why we are here. I came to help Veterans attain service connection. What is it you aspire to? Some discussion on hadit too. I think that the fact that none of the employees are agents (zip code 32669) and that they buy vets information and contact them, are big red flags. Yes, those would definitely be read flags. The internet is a wealth of resources, so researching and rooting out potential clients is just smart business. I didn’t have a chance to look into vet comp and pen, had just heard about them, but am glad other folks were able to look into it and get more information. Scammers everywhere! I hope you don’t get into trouble again for exposing scammers living off vet charity and vet money. With almost a million potential new claimants from toxic water at marine base the con artists will be out in force. You do notice that not that many lawyers are rushing into VA claims as we thought a couple of years ago. No quick bucks there or fast settlements. Wasn’t that water toxic going back to the sixties? I remember reading something about that some time back.